Selecting the type of liner for your cap is one of the most important factors of cap selection. Some liners withstand chemicals better then others, while other liner types tend to be better moisture barriers. Below is a list of commonly used liner types and brief descriptions. A poly-vinyl film adhered to a white pulp paper backing. It is a good liner type for chemical resistance, mild acids, alkalis, solvents, alcohols, oils and aqueous products; not recommended for active hydrocarbons or bleaches. A three-ply material. F217 has a low density foam core between two solid layers of low density polyethylene. F217 has excellent chemical resistance and low moisture transmission rate. F217 also has good taste and odor resistance. 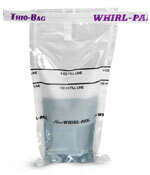 A pressure sensitive foam liner with one adhesive side that sticks to the container with the pressure used to place the closure on the container. When the closure is removed the pressure sensitive liner remains on the top of the container. A specialized laminate containing aluminum foil and a plastic heat sealable film that hermetically seals to a container through the use of a machine that produces an electromagnetic current which releases the foil lining on to the container achieving a tight seal. Induction liners are available with pull tabs and peelable versions so not to leave residue on the container once removed. A good general-purpose liner material. It has a broad application base, chemical resistance, good for acids, alkalis, solvents, alcohols, oils, household cosmetics, and aqueous products. It is fairly poor use with for hydrocarbon solvents. Made out of LDPE plastic, the poly-seal cone lined cap provides a wedge type seal that not only seals across the top of the container, but also seals across the inside diameter. This liner is stress crack resistant and offers superior torque retention and excellent sealing characteristics. This liner is commonly used for liquid products. This liner should be tested first to make sure leaking does not occur. A teflon lined foamed polyethylene that has excellent chemical resistance of teflon with the compressibility and sealing properties of polyethylene foam. Typical uses of teflon faced foamed polyethylene include: analytical lab samples, high purity chemicals, strong acids solvents. Uses include: environmental samples, pharmaceuticals, and diagnostic reagents. A polyester film laminated to aluminum foil, bonded to pulp board. Pulp metal foil liners have good barrier properties, as well good resistance to hydrocarbonates, oils, ketones and alcohols. The pulp metal foil liner is not recommended for acids or alkalis.